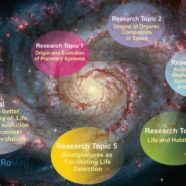 The second, updated version for of the Astrobiology Primer has now been published. This updates the original 2006 edition. The primer serves as an introduction to the various topics that make up the field of astrobiology. It is aimed at a PhD-student level, but is a useful summary of the state of the field no matter what stage you are at. The primer is available online as free-to-view open access article via the Astrobiology Journal.